SAN FRANCISCO & ZURICH – November 15, 2016 – Ava, a medical technology company focused on innovations in women’s health, today announced it has raised $9.7 million in a strategic Series A round led by European VC firm Polytech Ecosystem Ventures. Others contributing to the round include new investors Blue Ocean Ventures and Nasdaq-listed B2B media company Global Sources, along with company’s existing seed investors Swisscom and ZKB and others from the healthcare and technology fields. According to Co-founder Lea von Bidder, Ava will use the funds for further product development, to scale production of Ava bracelets to meet consumer demand, and to advance the company’s research the second clinical study is currently underway. Ava is also expanding into international markets, launching in various European countries early next year. Backed by an initial seed round of $2.6M, Ava officially launched its first product to market – a fertility tracking wearable that uses new technology to detect the fertile window in a woman’s cycle in real time – this July. Dubbed “the Fitbit of Fertility” by media, Ava works by recording nine physiological factors that correspond with the rise in hormones indicating the onset of ovulation. The FDA-approved Class One medical device was proven in a recently concluded clinical study at the University Hospital of Zurich to detect an average of 5.3 fertile days per cycle with 89 percent accuracy. In September, Ava confirmed the first pregnancy attributed to use of the bracelet in the US since it began shipping this summer. “We are thrilled to support such a visionary company within the women’s reproductive health space, where true innovation has been so lacking until now. 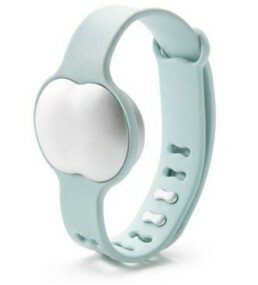 With Ava, the company has obviously hit a nerve with a population thirsty for better solutions to the fertility and cycle tracking dilemma, but we know this is just the tip of the iceberg for where they can go with this revolutionary new wearable technology,” said Laurent Bischof from Polytech Ventures. Founded in Switzerland in 2014 by industry leaders in wearable technology, women’s health, and data science, Ava is a medical technology company dedicated to bringing innovation to women’s reproductive health. The Ava bracelet uses a patented big data approach to precisely detect a woman’s entire fertile window in real time. The company is working on clinical studies to expand its algorithms for use in both pregnancy recognition, pregnancy monitoring, and possible use as a non-hormonal contraceptive device. With research and product development based in Zurich, Ava’s US headquarters are in San Francisco.